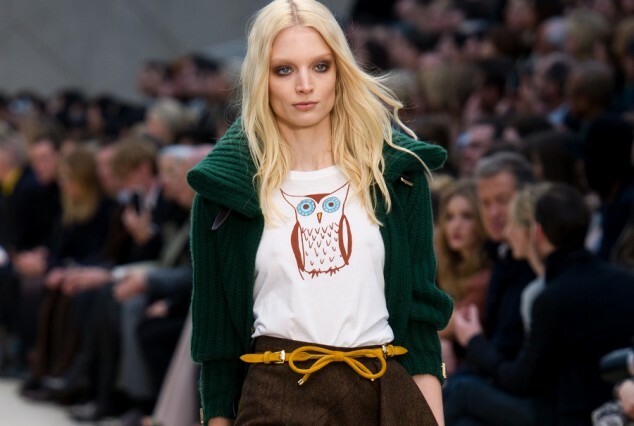 British power house Burberry has sparked a massive trend for owl motifs and the high-street is positively heaving with cute clothing and accessories paying homage to the wise old bird. There’s a danger of looking a bit cutesy when wearing an animal motif so limit yourself to one themed item at a time and keep the rest of your outfit sophisticated. Owl print loose t-shirt combines this mysterious pattern with women clothing, the jewelry on the t-shirt makes this cloth more fashionable. I recommend you as the single clothing product in this summer.